I need many readers on an article and make it high on Google. 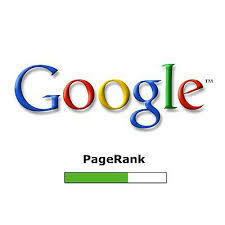 I need to make everything seo in google and other search engines. i’m writing in response to your recently advertised position for seo & smm . i am very interested in this opportunity with and believe that my qualifications, education and professional experience would make me a strong candidate for the position. we are seo expert and we can check your site and provide you seo optimization using high pr authority back-links to your gig so that it rank on 1st page of google.just have a look in our gig and reviews and inbox me if you have any query. i have a experience of 10+ years in smo.i will provide ore visitors to your article by promoting your article high domain authority sites and some people engaged forum sites and social media sites.make it to visible first on google.i will complete the work within time and satisfy your needs.i am looking forward to work with you. i will post your article in me 2.1 million active facebook group it will boost your article and will be very useful for ranking in google. hello. i am confident enough to work on this project. i can give you lots of visitors on your website through seo. i have a 1 years experience in seo. so, i want to your job. for to learn more about my work, please have a look at my profile. thank you.